2019 marks the 122nd anniversary of a “most elaborate lawn fete” on the estate grounds of George and Sarah Joslyn. Before they built the Castle, the Joslyns hosted friends and neighbors on the 5.5 acre grounds. The Joslyn Castle Trust is excited to host our own Summer Fete on the same date: Saturday, August 24th! 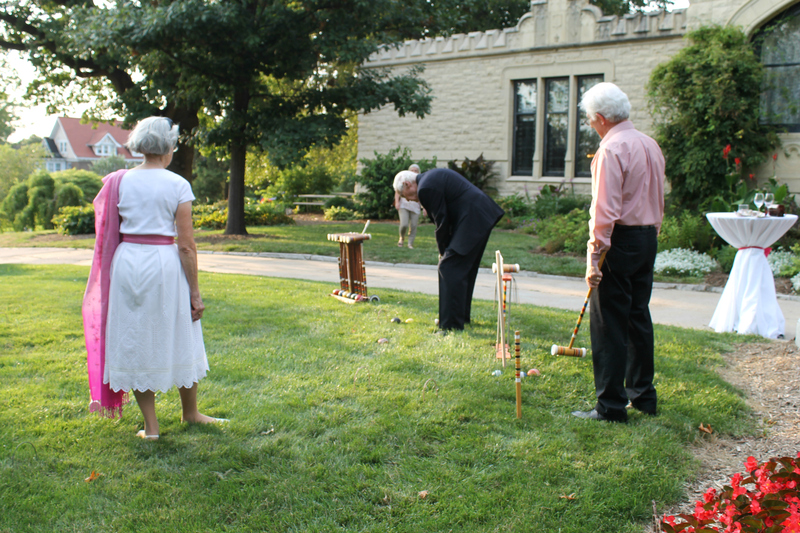 The original Summer Fete featured a Russian tea room, fortune tellers, lawn games, refreshments, and music from the military brass band on loan from Fort Crook. 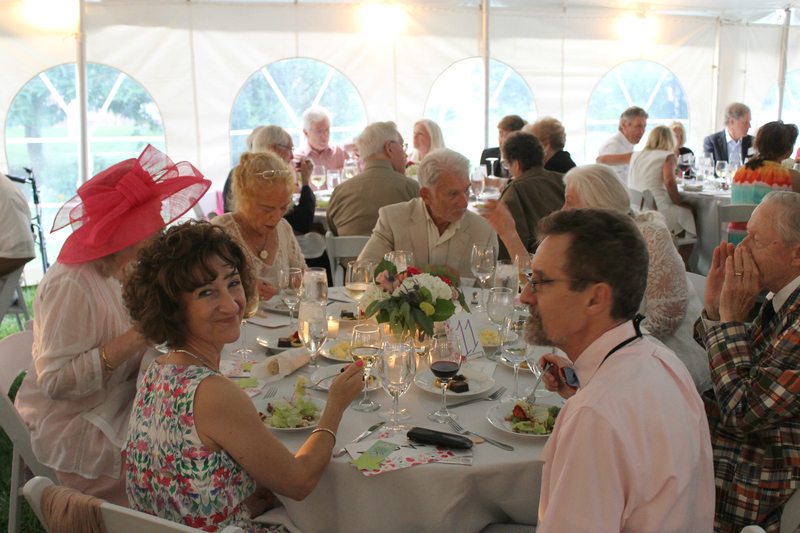 In keeping with the original Fete's tradition, guests to the 2019 event will enjoy many of the same activities as we raise funds for the preservation and restoration of our beloved historic Joslyn Castle. 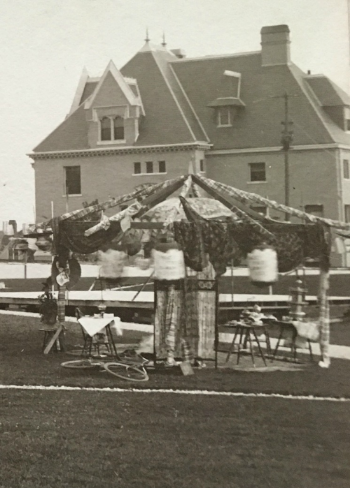 The original fete tent on the grounds in 1897. The Offutt mansion is visible in the background. Guests will be treated to all-access tours of the Castle, from George Joslyn's mancave basement to the top of the fourth-level turret. 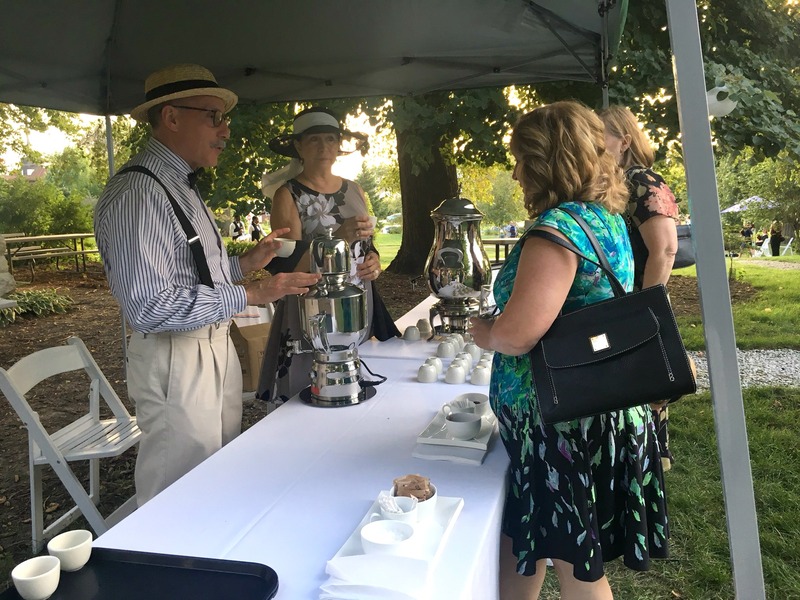 Entertainment includes live music, lawn games (croquet, badminton, bocce), fortune tellers, tea tasting, and a beautiful meal under a tent in the gardens. Revelers are encouraged to embrace the throwback theme and don traditional garden party attire. Think lawn dresses, seersucker, straw hats, and suspenders! A hosted patron party prior to the dinner will offer sponsors and patron ticketholders first access to explore the Castle and partake in activities on the grounds while enjoying an open bar. This event will be a fundraiser for the preservation, restoration and operations of the Joslyn Castle and grounds. Help us keep the philanthropic spirit of George and Sarah Joslyn alive by supporting their historic Omaha home. 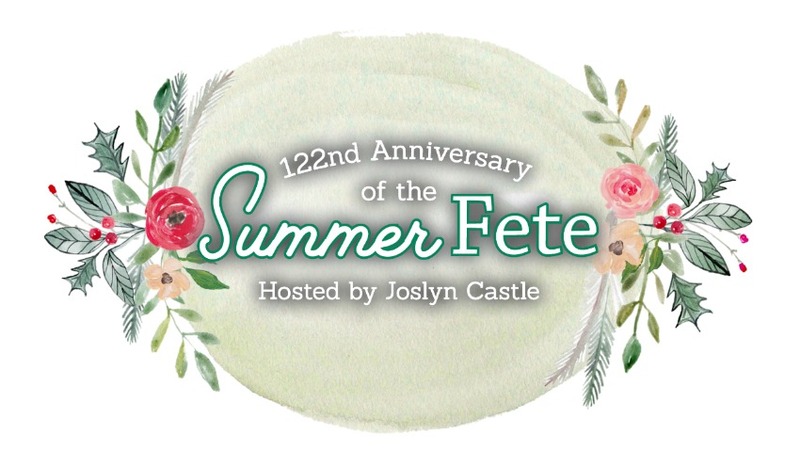 The Summer Fete is a fundraiser organized by our fantastic Joslyn Castle Guild, whose mission is to raise funds and awareness for the Joslyn Castle Trust. The event is graciously being hosted by our Fete Committee and our co-honorary chairs Amy L. Scott and Karen Dixon.